Tire test by the staff of Dirt Wheels. This photo was taken after a long day in the dunes that included repeated full-throttle drag races. The edges of the tread blocks look new. The ITP Dune Star tire breaks new ground for us. Here is a tire that has a sharply narrow focus limited primarily to sand, but could also be effective in snow or mud. Keep it away from hard dirt, but when used in the sand it was designed for, the performance is flawless. The single fault we can find is that it currently fits only 12-inch wheels. End of complaints. Most sand tires are designed with 2WD machines in mind. That means that you have a crazy-aggressive rear paddle that’s smooth or almost smooth with ribs on the front tires. Paddle tires can be molded as complete paddle tires, or be normal tires with the tread buffed off and paddles vulcanized on. 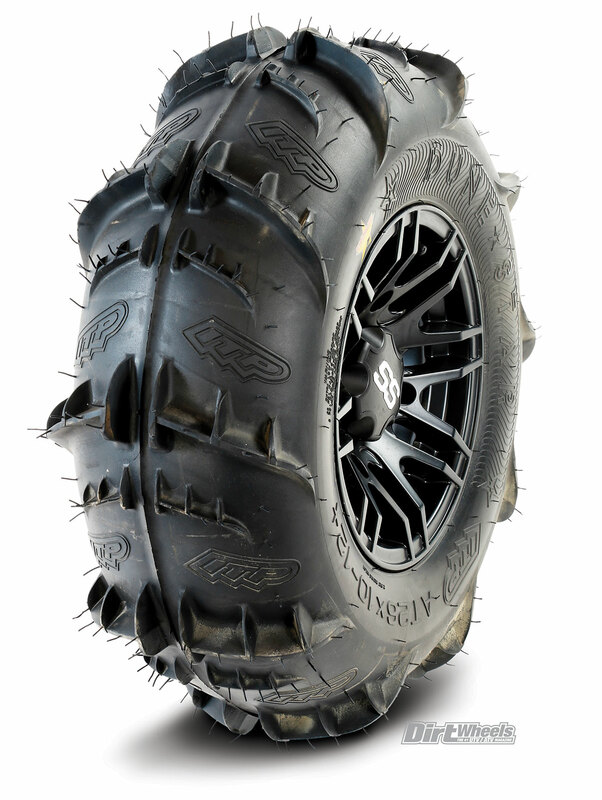 The Dune Star tires are designed for AWD machines, like the vast majority of UTVs are. Both front and rear tires are molded complete as dune tires. The rears have aggressive, reinforced paddles that alternate with a smaller paddle inter-spaced between each pair of larger paddles. There is a fairly large, open channel down the center of the tire. We suppose that channel could contribute to the side-to-side stability, but to us it looks like it was the best way to manufacture the tire in a mold. The carcass has that familiar balloon look that gives a sand tire good floatation. The front, likewise, has a high-floatation carcass with a single line of center knobs as if it was a normal dirt tire with all but the center knobs removed. A series of small “paddles” of identical size and shape extend out from the center rows of knobs. Both the front and rear tires are directional. They also have ITP logos molded in. ITP claims that the tires are 16.1 pounds for the $144.58 26×11-12 rear and 13 pounds for the $124.07 26×9-12 front tires. 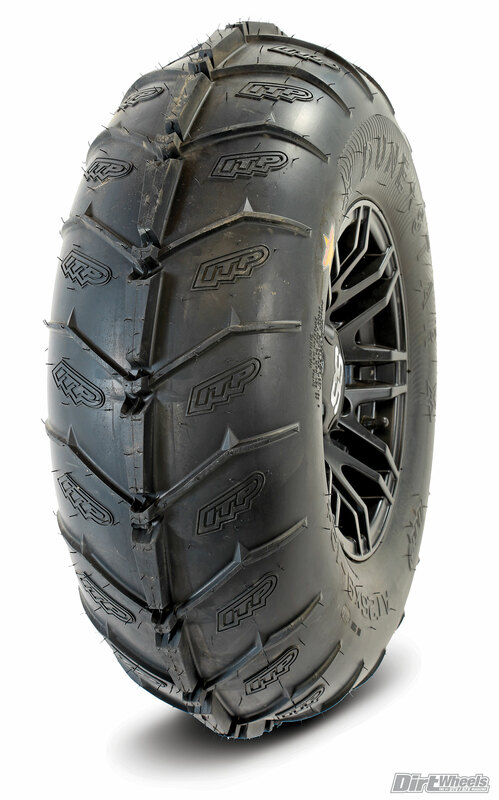 We mounted the tires on sweet-looking Black Ops SS316 ITP wheels ($111.11 each) so we could switch easily back to dirt tires. You get a load rating of 1000 pounds per wheel and a lifetime structural warranty. The rear wheel/tire combo is 27.9 pounds and the front is 25.8 pounds. Certainly, they feel light carrying them. We mounted the tires ourselves, and they were easy to mount and seat on the rims. These sizes are great for 4×4 quads that will take them, or for the many lower-powered UTVs that came with 12-inch wheels. We had hoped to share the tires between our Polaris Ace 900 XC and our Polaris Scrambler 4×4 sport quad; however, the brakes are too large for the 12-inch wheels to fit the Scrambler. The unique front Dune Star brings an AWD machine to life in the sand like it had 30 percent more power! All paddle tires have a little stutter at low speed. You are actually feeling the tire “walk” from paddle to paddle. If the paddles are spaced far enough apart, the tires actually move up and down. With the Dune Stars, you hardly feel any of that stutter feeling at all. Traction in packed wet sand, moist sand and soft wind-blown sand is amazing, and it doesn’t matter whether you are in a straight line or turning. Our Ace tracked like it was on rails and, in fact, was easier to keep in line than it is on dirt. The Ace 900 XC has a huge blast of power when you stab the throttle, but then tapers back some with rpm. We had our Polaris Scrambler sport 4×4 quad along as a comparison. The Scrambler is something like 300 pounds lighter with 10 more ponies, so it normally squirts away from the Ace at will. When we dragged the two in the dunes, we selected a smooth pull with a moderate climb to it. The Scrambler would dig in before clawing away at the start, where the Ace leapt away at the start. For the rest of the run the Scrambler would gain the tiniest amount. 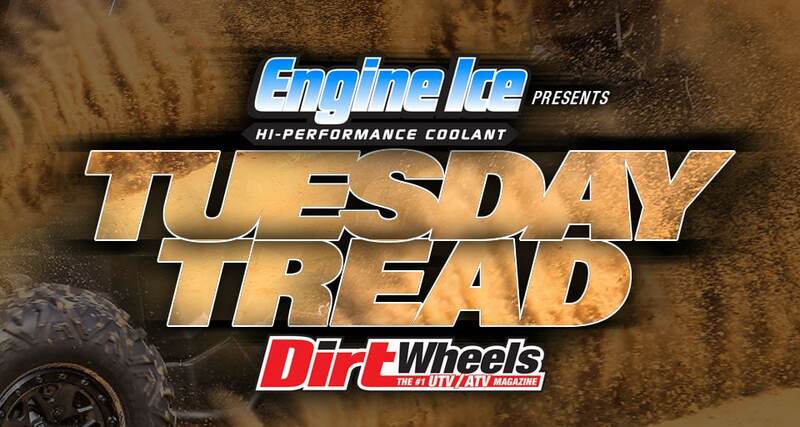 Having small front paddles that take advantage of the all-wheel-drive capability of modern UTVs is the biggest part of what makes these tires unique. So after repeated runs that showed that the machines were all but equal with the paddle on the Ace and desert tires on the Scrambler, we ran the Ace in 2WD. The Scrambler aced the Ace by four car lengths. There is no doubt that the front tires are a huge boon to an AWD machine. If you love to throw sand in big, sweeping sand turns, you will have to try 2WD. The Ace tracked so well with the Dune Stars that it didn’t actually want to slide. Having tread on the front tires aided acceleration, turning and braking. We are desperate to try these tires with a 14-inch rim on more powerful machines. These tires made dune-running an entirely different experience—a really fun one. After a day in the Pismo dunes, the tires look brand new. We are sold. See www.itptires.com for more info.